He's not just young, he's coffee. "Do you expect me to talk?" "No, Bond, I expect you to be coffee!" or something like that. IM OLD SO I'M TEA?! There is no error on this. Not one. 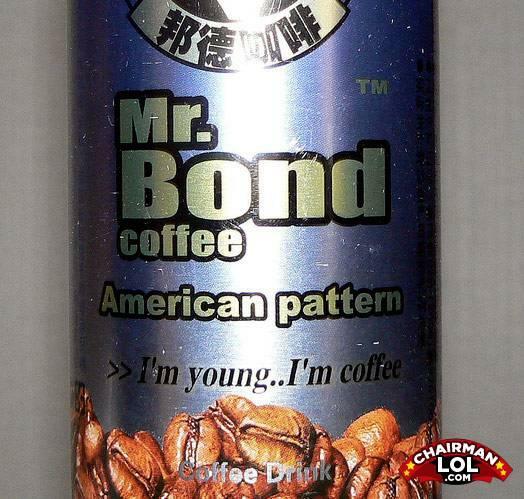 Bond Young, Bond Young Coffee. Q: What comes after 8? -To get to the other side.